Paralegal As the newest member of the Devine Law team, Michael Cater provides assistance and expertise across a range of practice areas. With his university degree in hand, Michael set out in business management. The lure of the law remained, however, and several years on he switched gears and embarked on the Graduate Diploma in Law course with BPP. Following a period working in criminal law for a firm in the Midlands, Michael was lured back up north to join Devine Law. Michael is currently continuing his legal education and completing his LPC as he seeks to qualify as a solicitor. 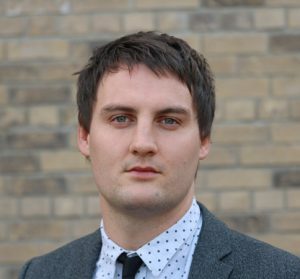 In addition to the law, Michael assists with various cross-discipline research projects, including the sociocultural effects of mephedrone and the roots of inertia. § Areas of practice: Commercial Property, Commercial Law, Debt Collection, Insolvency, Landlord and Tenant. * Fee estimate for Debt Collection can be found here.